ABOUT THE BOOK: Born in 1987 as the nation's first new city with a population greater than 100,000, Santa Clarita, California, has a fascinating history that stretches back to the rugged Wild West era. Hollywood recreates this history in Santa Clarita and its surrounding valley, to the delight of movie fans worldwide. ABOUT THE AUTHORS: In Then & Now: The Santa Clarita Valley, Dr. Alan Pollack, Kim Stephens, and E.J. Stephens show where we have been, where we are today, and where we may be tomorrow. * Be sure to add 9% L.A. County sales tax to the total order, plus the following for shipping & handling: 1-2 items, $5; 3-4 items, $6; 5-7 items, $7; 8-10 items, $8; more: call (email). "Santa Clarita Valley Historical Society"
Your purchase benefits the Santa Clarita Valley Historical Society, a 501c3 educational nonprofit. ABOUT THE BOOK: Cradled among chaparral-covered canyons an hour north of downtown Los Angeles is a fascinating place called the Santa Clarita Valley. The history of the valley has significantly shaped the cultural development of Southern California for centuries. But while events are often credited with creating its history, the true portrait of the valley is painted using the palette of personalities who left their indelible mark on the landscape. 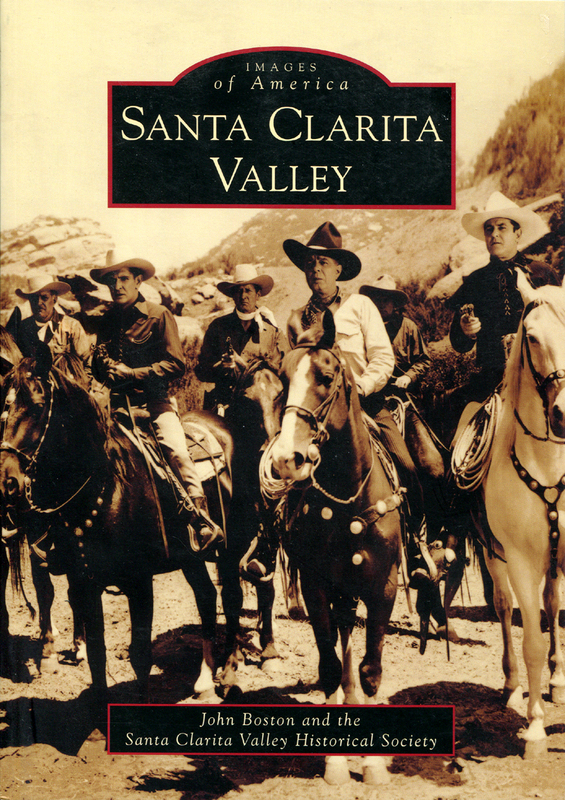 It is these stories of cowboys, Native Americans, outlaws, farmers, shepherds, soldiers, miners, range warriors, ranchers, saloon keepers, stagecoach drivers, railroaders, town drunks, teetotalers, engineers, land speculators, explorers, missionaries, actors, and common folk that make the history of the Santa Clarita Valley so compelling. 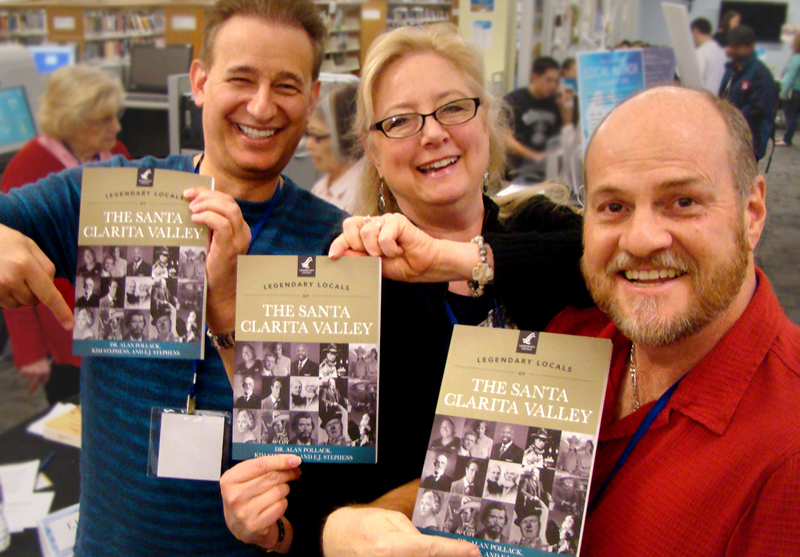 Legendary Locals of the Santa Clarita Valley is a pictorial journey through time, telling tales of the colorful cast of characters found sprinkled throughout the region’s past, and the legendary locals who still make history today. ABOUT THE AUTHOR: Alan Pollack, M.D., is the president of the Santa Clarita Valley Historical Society and a frequent writer and lecturer on local history. Kim and E.J. Stephens are local historians who lead Hollywood history tours throughout Southern California. They all proudly reside in the Santa Clarita Valley. ABOUT THE BOOK: A trade crossroads dating back to Native American times, Santa Clarita may be relatively new in the story of Los Angeles County's suburban sprawl, but old-timers also recall it as the Navel of the Universe. A Chinese general once declared the Santa Clarita Valley one of the top 10 military targets on Earth. Located east of the Ventura County line where the valley creates a break in the Angeles National Forest, Santa Clarita has been home to cowboys, movie stars, farmers, and pistol fighters. With a diverse population of 250,000 today, the Santa Clarita Valley still boasts an eclectic heritage. The West's first major oil refinery is located here. The ground was bloodied by at least 21 deaths in one of America's last and greatest range wars. And local lore has maintained that the world's largest grizzly bear, weighing more than a ton, was shot here. ABOUT THE AUTHOR: Author John Boston's 100-plus writing awards include the 2006 Will Rogers Humanitarian Achievement Award. A former ranch hand, television news director, talent manager, editor, and columnist, Boston has lived in the Santa Clarita Valley for half a century, today on Scared o' Bears Ranch with Walt, his father, and Indiana, his daughter. 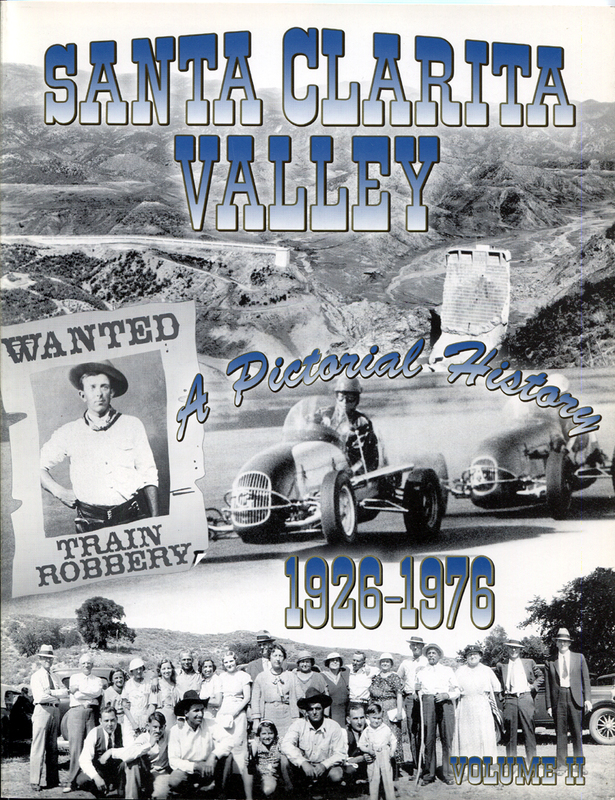 The Santa Clarita Valley Historical Society provided this book's evocative images. 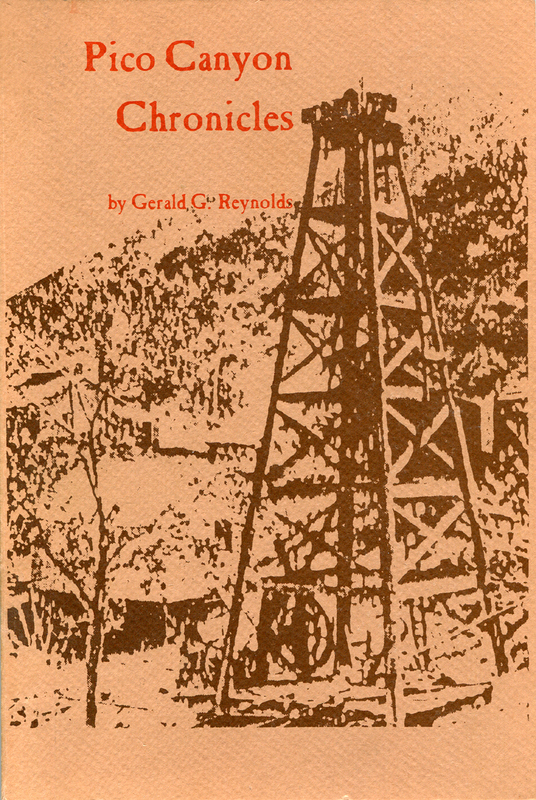 ABOUT THE BOOK: Newhall's many firsts include the first gold discovery in California and the first commercially successful oil well, which led to the first pipeline and oil refinery in California. Some of the earliest movie location filming was done here. First recorded by Juan Crespi on the Sacred Expedition of 1769, the Little Santa Clara Valley was recognized by the Spanish as an important junction between the mountain ranges separating Northern and Southern California. The early city fathers of Los Angeles saw the settlement of Newhall as an integral part of their strategy for growth from the days of the stagecoach and railroad through to the building of Ridge Route and Interstate 5. This book tells the story of the town that never quite lived up to its potential but still managed a varied history with a colorful cast rivaling those of the movies filmed here. ABOUT THE AUTHOR: Author Maggi Perkins is the third generation of her family to live in Newhall. 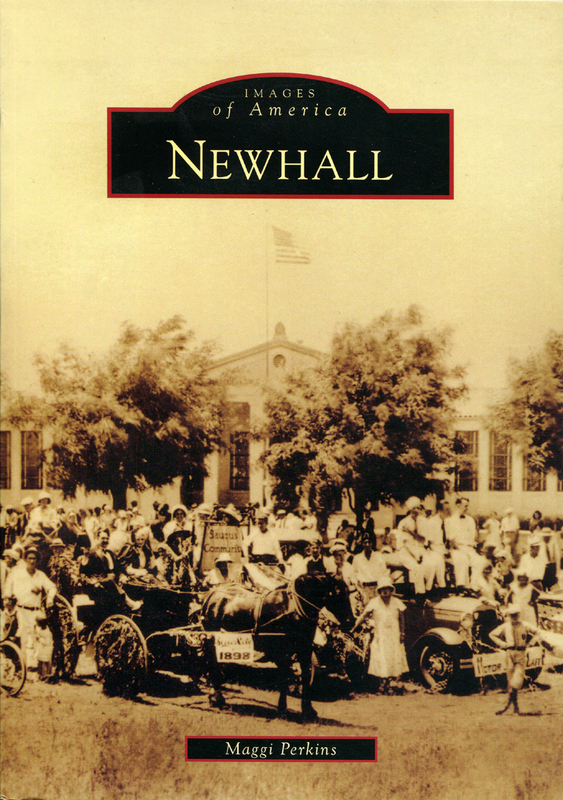 Upon inheriting her grandfather's historical archive, she took up his work, writing articles about Newhall's history. Most of the photographs in this book are from the collection of the late Arthur B. Perkins, Newhall's first historian. Supplementary photographs came from the Santa Clarita Valley Historical Society. 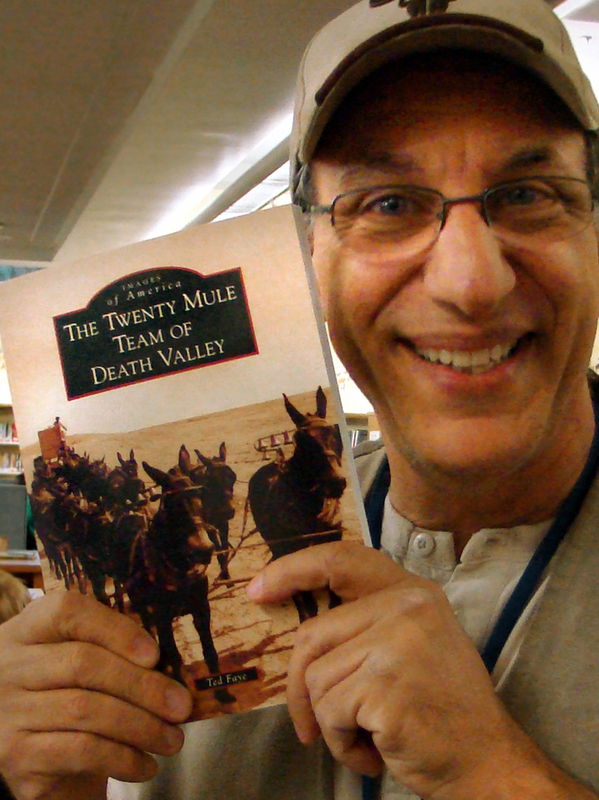 ABOUT THE BOOK: The image of 20 mules hauling a train of wagons was once as popular as the golden arches are today. Everyone knew what it meant. It was the trademark of Pacific Coast Borax's most famous product, a laundry additive called Twenty Mule Team Borax. The company's advertising was dependent on one important fact: the connection between the Twenty Mule Team and America's most notorious desert, Death Valley. From 1883 to 1888, teams of mules and wagons hauled borax out of the famed valley on the California-Nevada border. During those years, the teams were not famous; they were just a common means of transportation. After all, it was not the first time 20 mules hauled borax and it was not the longest or the most treacherous path. So what happened? How did this common form of transportation (the big-rig truck of its day) become transformed into an American icon? That is the story of this book. ABOUT THE AUTHOR: Ted Faye is a documentary filmmaker whose company, Gold Creek Films, specializes in stories of the West. Ted develops touring information, including audio CDs, signage, and brochures. He also helps communities to find and tell their stories. Ted was the historian to US Borax, and many images from this book are from the Borax collection at Death Valley National Park. 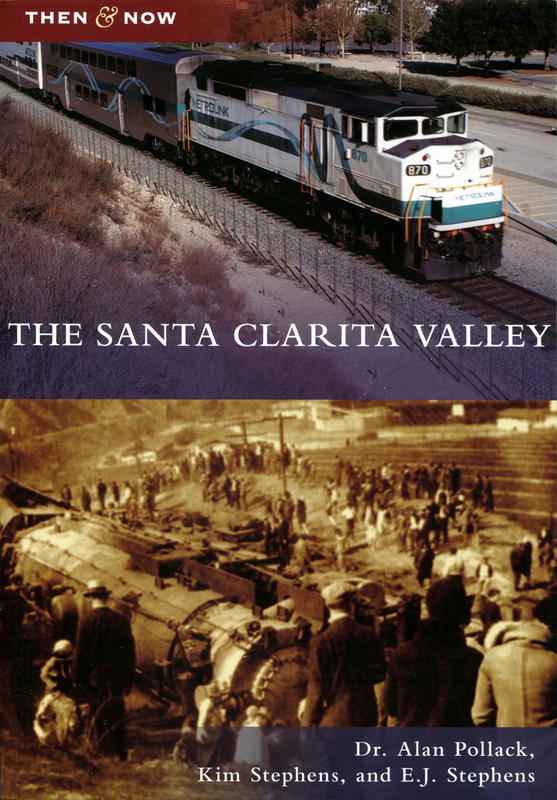 ABOUT THE BOOK: This book is a collection of more than 200 original photographs covering the second 50 years of development in the Santa Clarita Valley. The project has fulfilled a need to preserve the colorful, rich history of the Santa Clarita Valley in pictures and text. The book will save some of the simpler times of the SCV for future generations. The writers and editors thank the Santa Clarita Valley Historical Society for the use of photographs, as well as the teachers and administrators of Sierra Vista Junior High School for their continuing support. As a result of the first volume of 'Santa Clarita Valley: A Pictorial History (1876-1926),' a number of individuals came forward to offer photographs for use in the second volume. People are beginning to realize the recent history is just as important to document as it was a hundred years ago. ABOUT THE EDITORS: Philip Scorza and Frank Wright were instructors at Sierra Vista Junior High School in the William S. Hart District at the time this volume was compiled. Scorza is a local historian who has served on the board of the Santa Clarita Valley Historical Society and has hosted the local history program, 'Philip Scorza's Points of Interest,' on SCVTV since 1994. He teaches video production at Canyon High School and in the Hart District's Regional Occupational Program. ABOUT THE AUTHOR: Gerald G. 'Jerry' Reynolds studied art history at Long Beach State College and worked as a private investigator until landing his dream job as a tour guide at William Randolph Hearst's castle at San Simeon. Ultimately he made a career with the California Department of Water Resources as director of the Castaic Lake Visitors Center and later the Vista del Lago Visitors Center at Lake Pyramid. Reynolds came to Newhall in 1971 and filled the void left by the aging A.B. Perkins, the valley's first local historian. For more than two decades, Reynolds collected historical photographs, committed old-timers' oral histories to paper, helped organize the Santa Clarita Valley Historical Society and served as its first (and until his death in 1996 its only) museum curator. 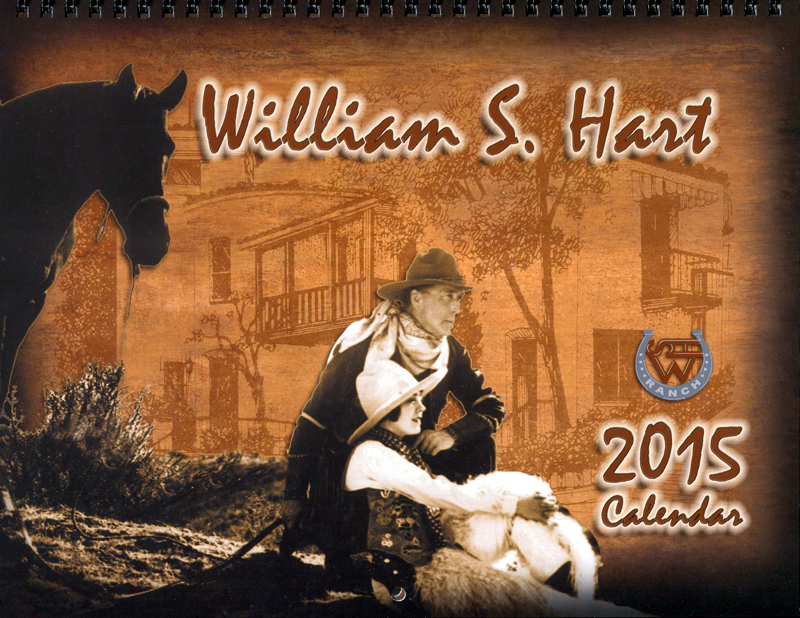 ABOUT THE CALENDAR: In celebration of the 150th anniversary of William S. Hart's birthday, the Friends of Hart Park and Museum have issued this limited-edition calendar for 2015. A visit to Hart Park and Museum provides a chance to learn about the life and legacy of a man who truly loved the West and with his generosity bequeathed his share of it for all to enjoy. ABOUT THE FRIENDS OF HART PARK: In 1985, a dedicated body of volunteers came together to help support Los Angeles County in maintaining silent movie star William S. Hart's last wish for his beloved home: that it be "forever used ... exclusively as a public park ... for the amusement, recreation, health and pleasure" of the county's inhabitants. The Friends of Hart Park is a 501c3 nonprofit organization that works in partnership with the Los Angeles County Department of Parks and Recreation to keep Bill Hart's legacy alive.